St. Christopher’s Good Neighbour Project is a well-established community project that has been running for over 20 years. A particular focus is on working with older people and forms a large part of our work. Our ‘Home from Home’ Centre for people 55yrs plus currently has around 60 members and operates four days per week. We provide a warm three-course meal and various social activities: physical exercise, games, crafts and trips out. Our minibus offers a ‘door-to-door’ service for those needing transport to the Centre. A community café on Monday and Thursday lunchtime serving fresh home-cooked food at very reasonable prices. A food and vegetable stall open Wednesday to Friday between 10am and 1pm selling a wide variety of produce. A second-hand Community Furniture Store located across the road from St Christopher’s. Open Monday to Friday, we sell a good selection of furniture and household items. We rely on Local Council funding renewed annually. 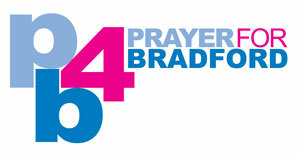 With recent Government cuts, the future of social care in Bradford is uncertain. Closure would have a devastating effect on our members and their families. Please pray for future funding. We reach a lot of older people but know that there are still many isolated people. Please pray for opportunities to reach out to them.